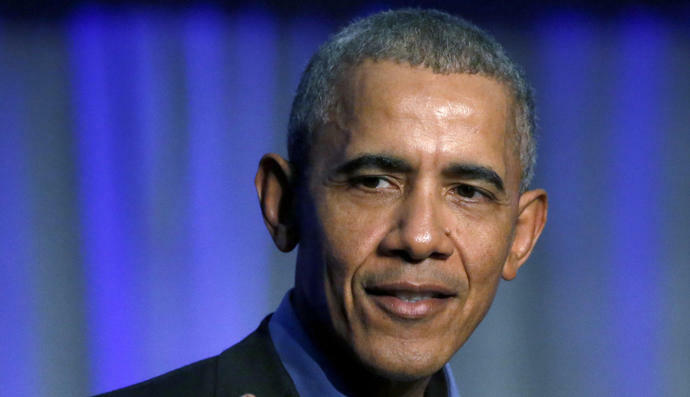 URBANA, Ill. (AP) -- Former President Barack Obama on Friday implored Americans to vote in the November midterm elections, saying the future of democracy in the U.S. is in the balance. "Just a glance at recent headlines should tell you this moment really is different," Obama said as he accepted an ethics in government award at the University of Illinois at Urbana-Champaign. "The stakes really are higher. The consequences of any of us sitting on the sidelines are more dire." The speech marked Obama's first steps into the political fray ahead of the fall campaign. While he has endorsed candidates and appeared at fundraising events, he has spent much of his post-presidency on the political sidelines. The speech was a preview of the argument that the former president is likely to make throughout the fall. The attorneys general issued a joint statement on Monday critical of the EPA's proposal to narrow the scope of protections in the Waters of the United States (WOTUS) rule that President Barack Obama's administration expanded in 2015 to cover a wide range of water bodies. Current EPA officials, several Republican-leaning states and farmers said the Obama-era WOTUS rule was too generous in defining what constituted a navigable waterway, often saying small puddles would be subject to regulations.